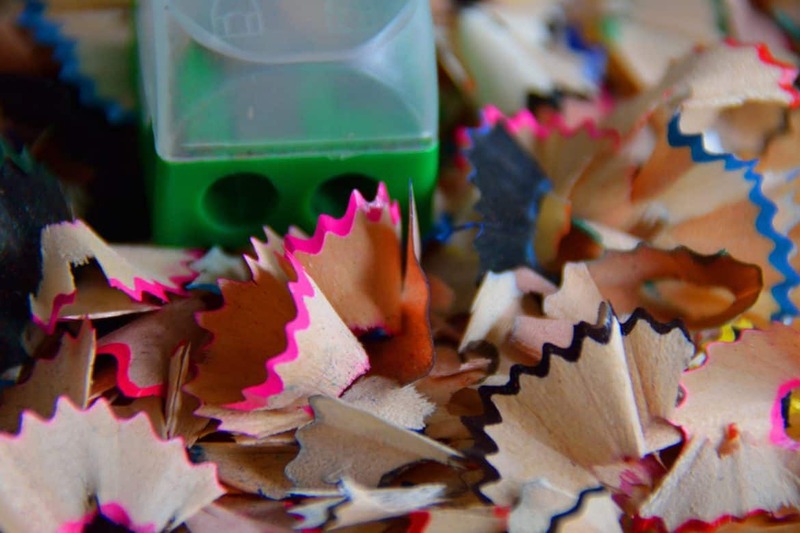 Are you still like most of us stuck in the good ole' days of sharpeners where we as students derived the pleasure of competing against each other's mates on whose pencil was sharp? Technology advancement means that we no longer need to resort to spending crucial minutes before that important exam, that awesome drawing waiting to be converted to a piece of masterful art or even your sketching expeditions. Welcome Electric Pencil Sharpeners, the art of sharpening is now more precise, fast and consistent than never before. Yes, we can no longer may have the bragging rights of a sharper pencil by trying your manual sharpening skills but believe us its for the better! So as with most advancements in the technological world, the sharpener world is gaining momentum at pace making a good shopping and a wiser one at it an extremely difficult one. 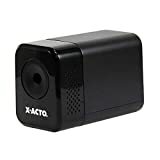 With this article, we hope to aim you with features that you need to look at to make your purchase of the best available electric pencil sharpeners an enjoyable and an informed one. Without further adieu, let's jump straight in! 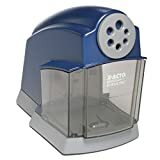 The major reason for the profound prominence of this electric pencil sharpener is its faster sharpening speed, rated highly at 75% and the longer shelf life of its cutter which lasts twelve times longer.It cannot be compared to a manual sharpener or razor blades in terms of safety. For this reason, any person, be it children or adults can use it without any worries. SuperPro6 has a 6 size selector dial that can be turned by a single hand, and that supports both standard and beginner pencils, ordinary and coloured. Security wise this really is a beast. The sharp stop (Tip Saver) technology that stops the motor when the pencil is sharp to prevent over sharpening is a god-send and makes pencils last longer and the Tamper-proof shutoff system which shuts down the motor to ensure safe cleaning is a real innovation. Style wise it is a looker and is covered in black and silver brushed metals that add style and enhances its durability. Right from its physical appearance, you could easily tell that it is indeed a high quality sharpener. 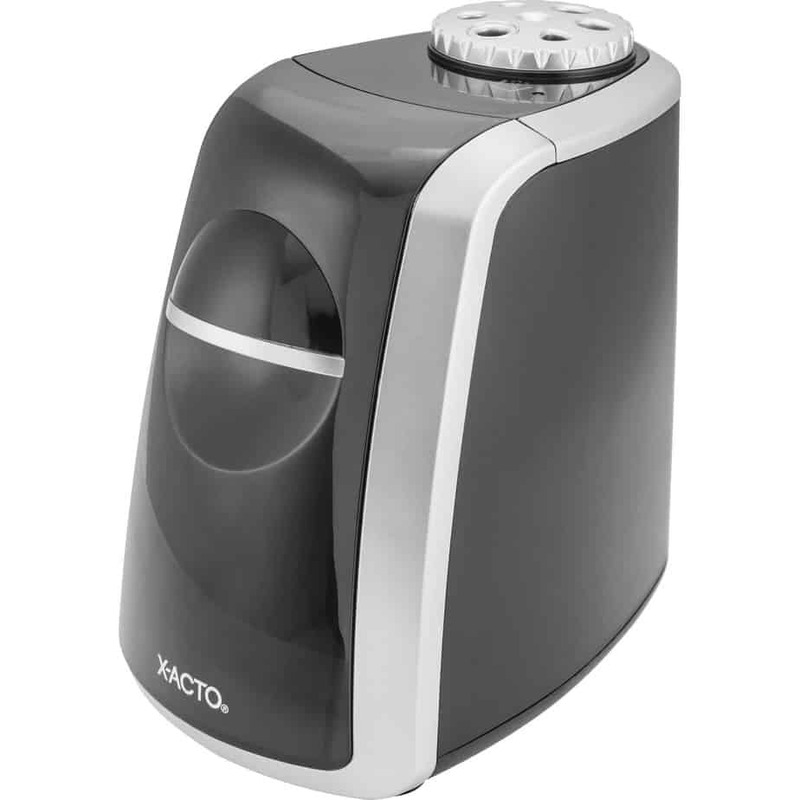 To begin with, this sharpener has an inbuilt safety feature which makes it to stop working soon as the shaving cover is removed. This renders it safe for use by children. Its inbuilt cartridge guarantees you an evenly distributed sharp pencil point on all occasions. It has various powering options. You can connect it to power via an AC adapter, a USB cable or in the case where there is no access to electricity, it can be powered on by use of batteries. Has a provision for adjustment to three different sharpening points whose purpose is to let you sharpen the pencil to your desired grade including blunt, medium and sharp. Compact, powerful, and makes your pencil sharp in just a matter of seconds. 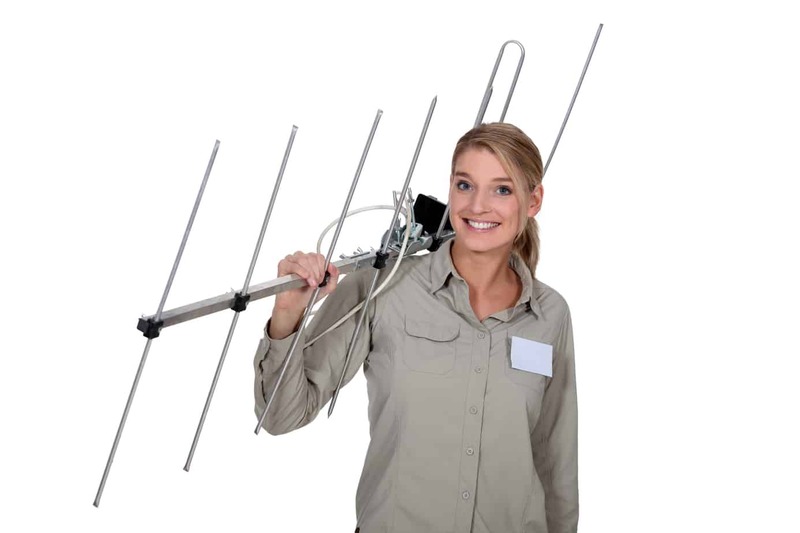 Its size makes it more portable and gives you an opportunity to carry it to any place of your convenience thus guaranteeing functional satisfaction. 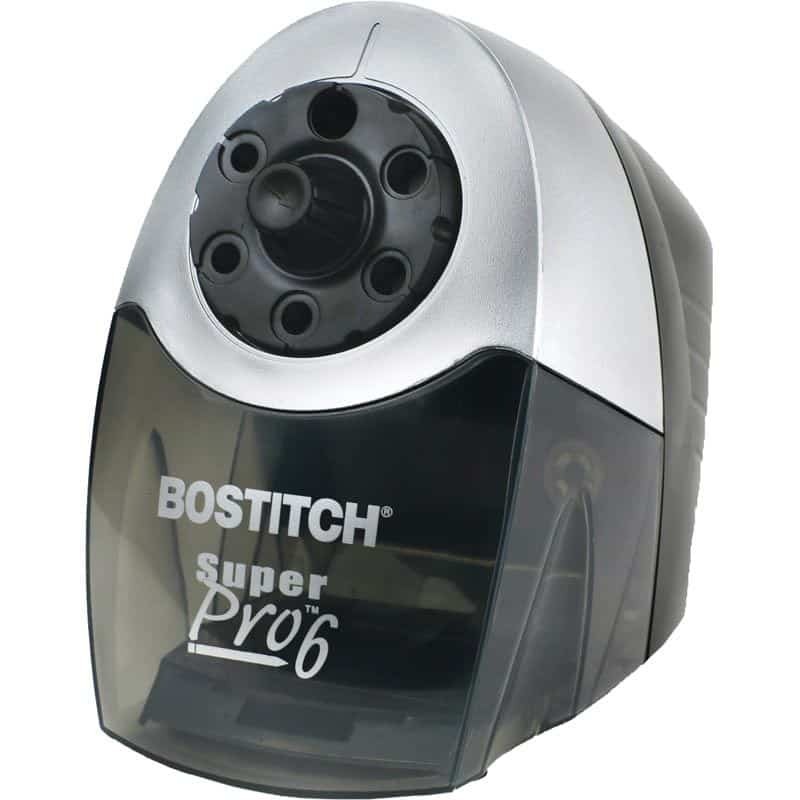 It is among the top rated brands of electric pencil sharpeners available in the market. With a dimension of 10.6 x 6.1 x 9 Inches, it has very explicit features which all demonstrate its high standard of efficiency. First of all, the sharpener has a 70% sharpening speed and its cutter lasts for up to 10 times longer than an ordinary sharpener. It is structured with an inbuilt Tip Saver Technology which serves to prevent your pencil from being over sharpened and consequently extends its life. Has a 6 size selector dial that is easy to turn by one hand, and that supports standard and beginner pencils. Quiet stall-free motor that is super duty with a thermal overload protector. Tamper-proof shutoff switch stops operation during removal of large shavings bin to ensure safe cleaning. 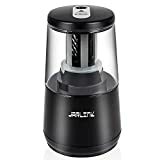 You will definitely like the fact that this electric sharpener comes as a single unit with a shavings receptacle that is large and subsequently easy to remove and empty. As such, a stall-free operation fully guaranteed when using this sharpener. Helical steel blades featured in it, accompanied by an automatic stop mechanism guarantees you an ideal tip while sharpening. 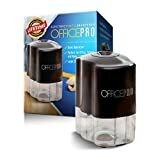 It is entirely designed to be a highly effective sharpener with commendable fast speed which qualifies it as an ideal classroom or office addition. One of the commanding features of the heavy duty model is that it is the best for colored pencils and is especially suitable for adult artists involved with book coloring. Featured with an auto pencil stop which stops operation when sharpening is finished. Low and wide shaped footprints which provides maximum stability. 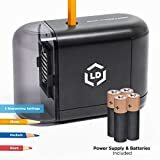 The fact that this electric sharpener has a top entry designed to save space, and which harbors multiple-size selector that accommodates standard, beginner, and triangular pencils makes it attractive. 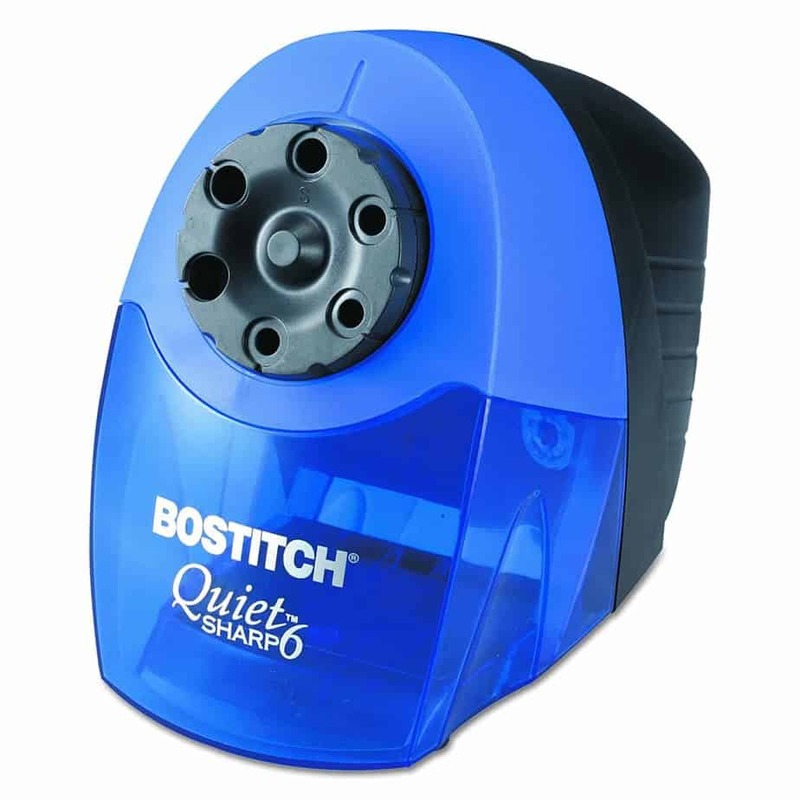 It has an electric sharpener made with an X-Acto steel helical cutter, with a fly-away cutter system purposely designed to stop sharpening when the pencil is sharp. 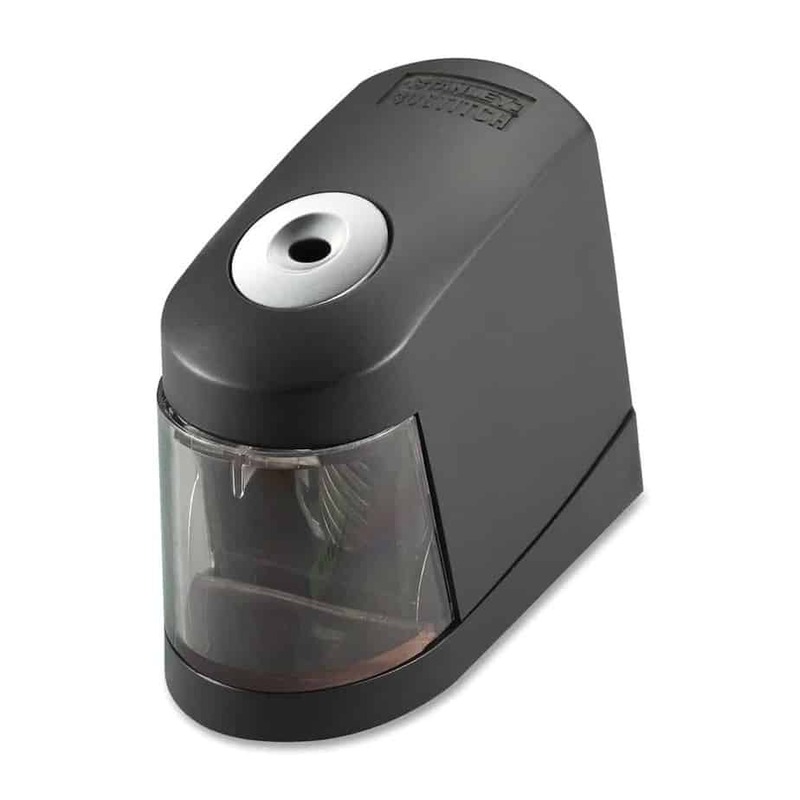 One of the interesting features of this sharpener is the extra-large shavings receptacle which is transparent with full LED indicator that alerts you when sharpening is finished. 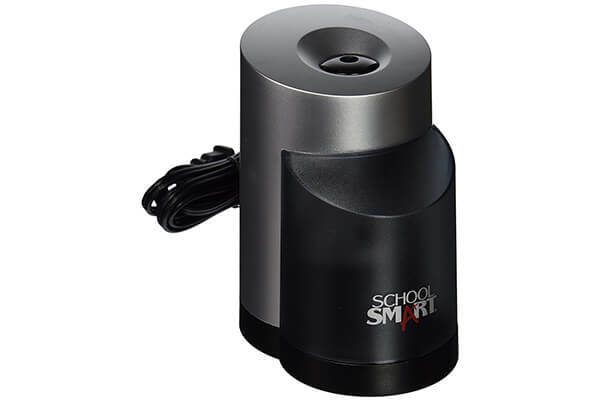 In addition to the above mentioned features, the receptacle of this sharpener has a safe-start interlock switch and suction cup feet purposed to isolate noise. The idea here is to choose an electric sharpener that will serve your specifications to the latter. Note that some electric pencil sharpeners are large while others are small. Therefore, it is advisable that you should be very keen when selecting an ideal electric sharpener. 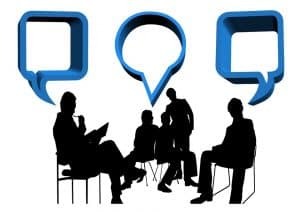 Whether it is for home, classroom or office use.